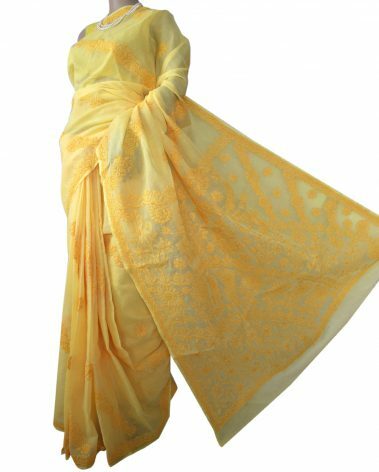 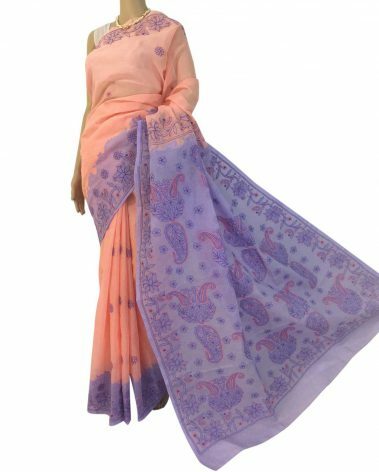 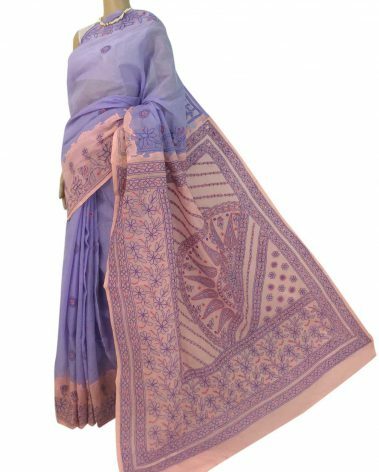 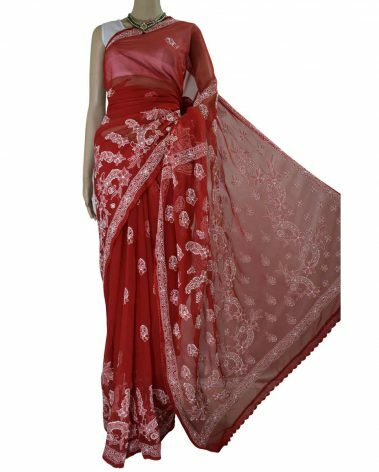 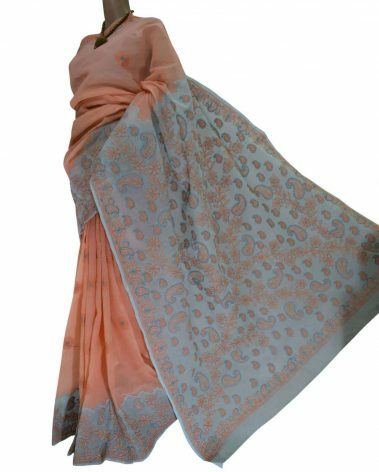 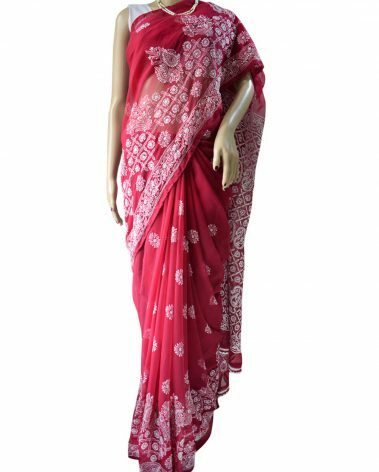 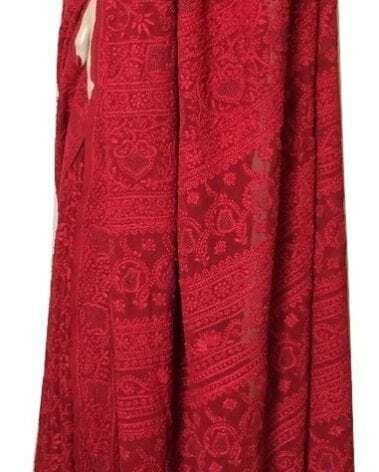 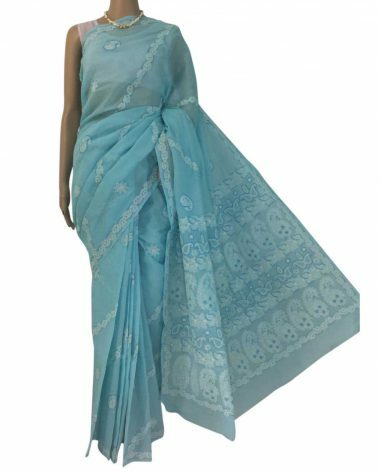 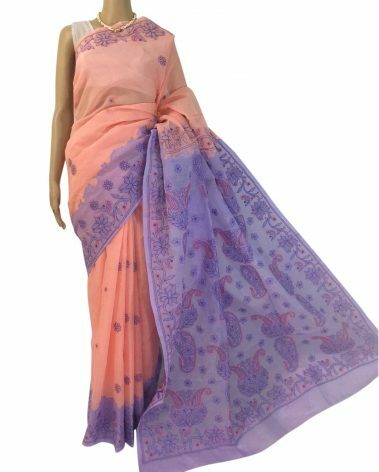 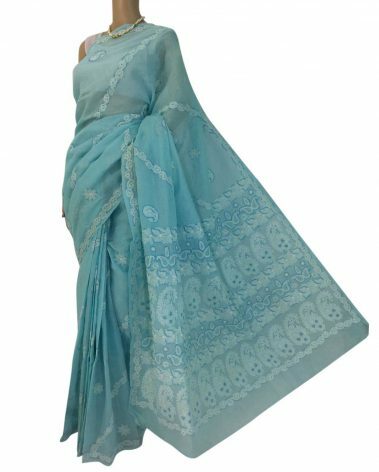 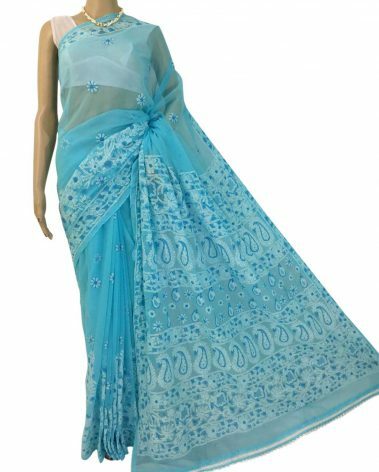 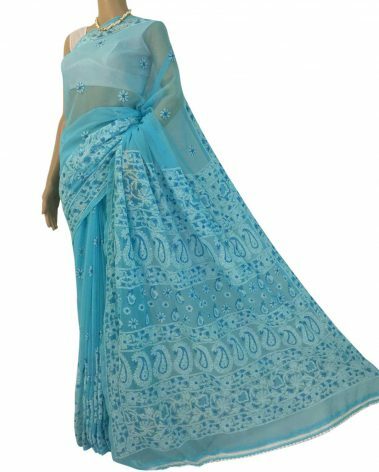 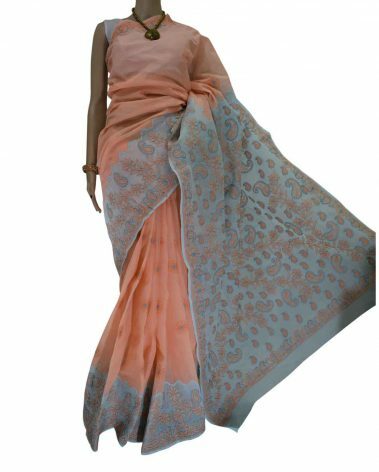 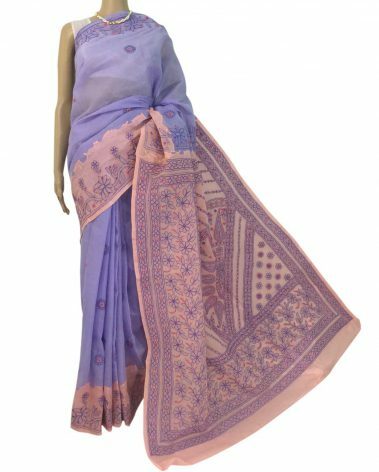 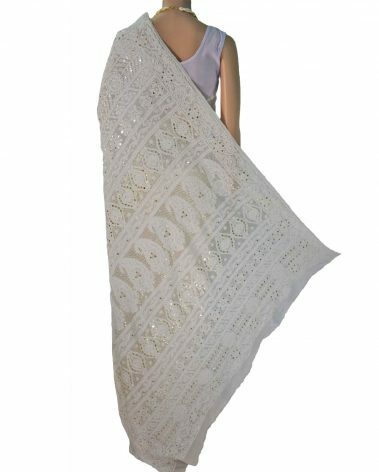 View cart “Light Blue Cotton Hand embroidered Chikankari Sarees” has been added to your cart. 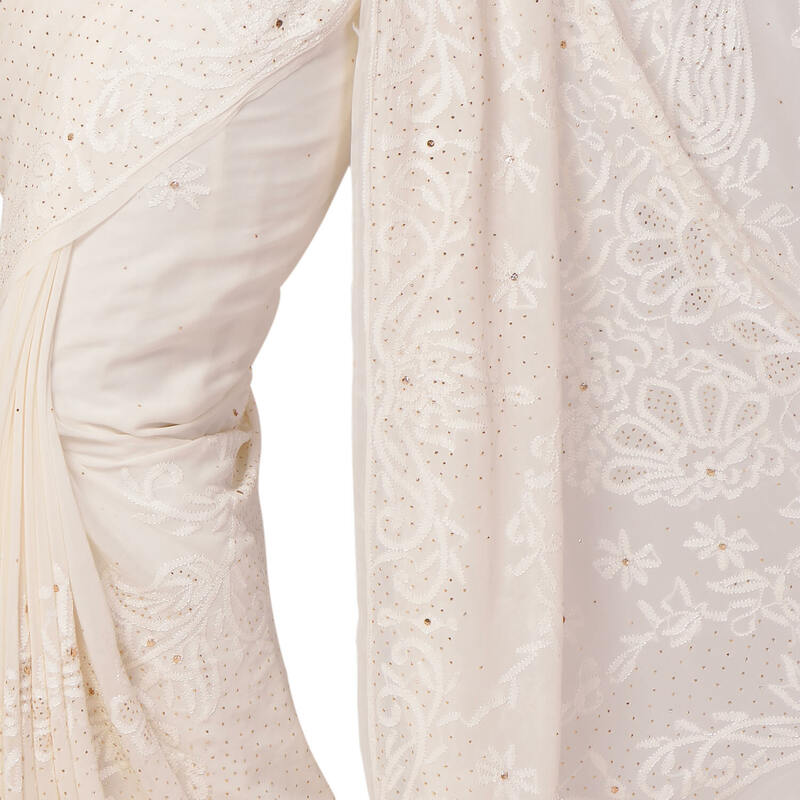 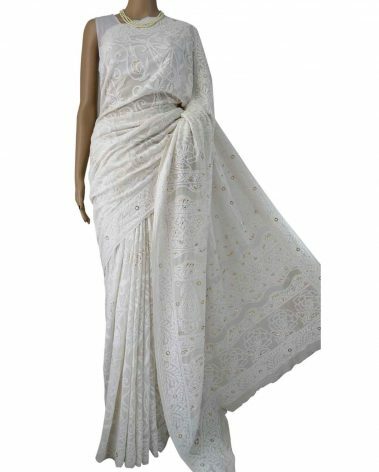 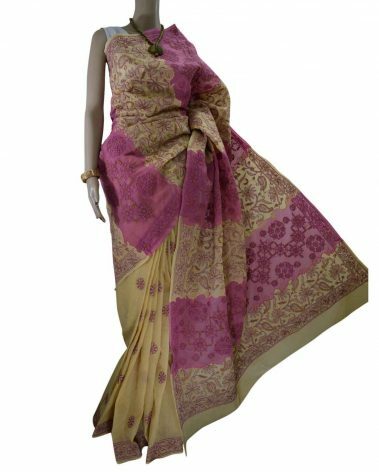 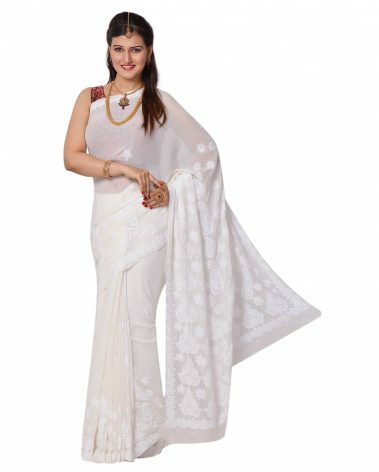 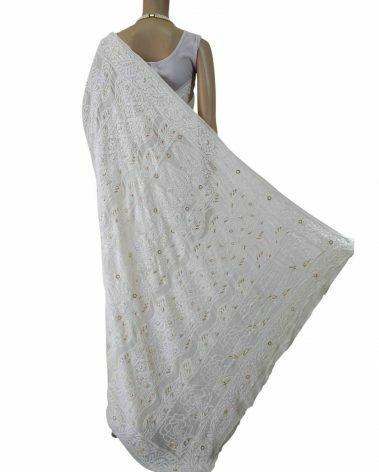 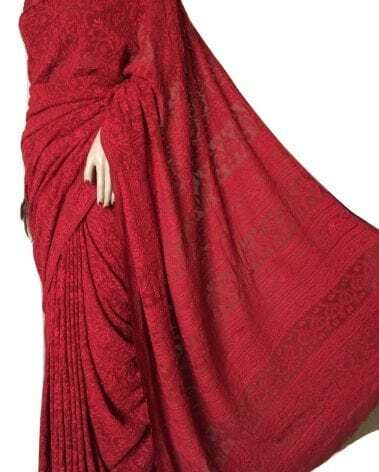 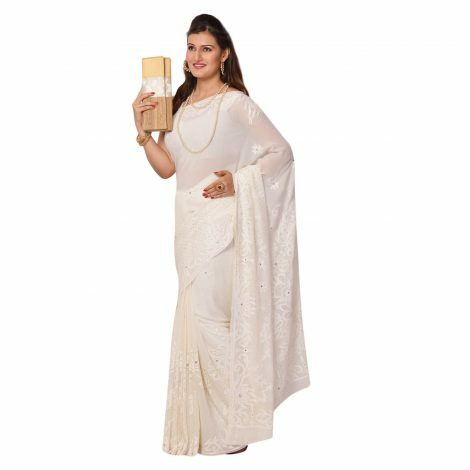 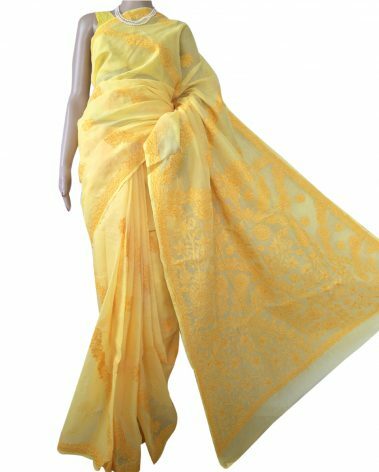 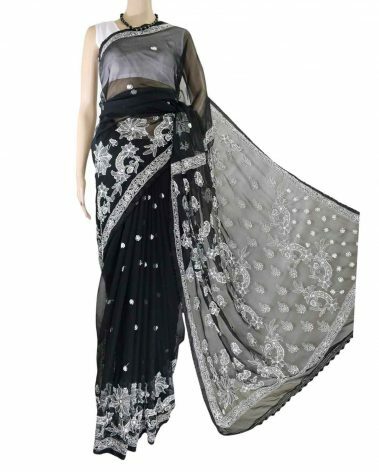 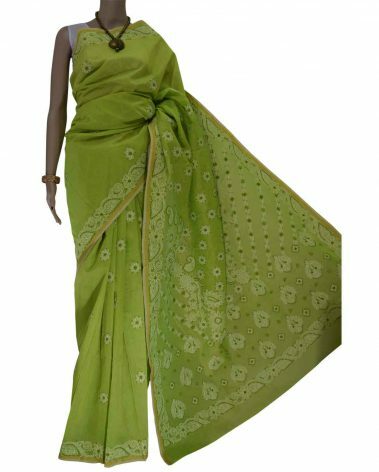 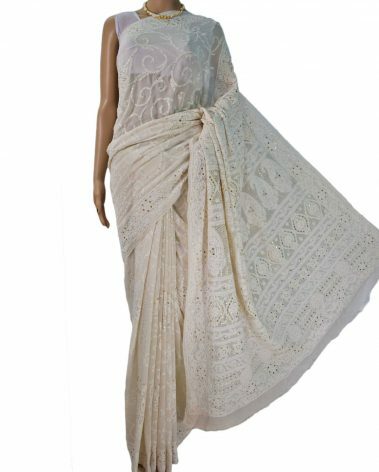 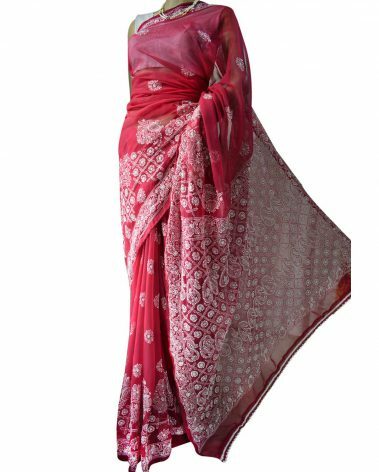 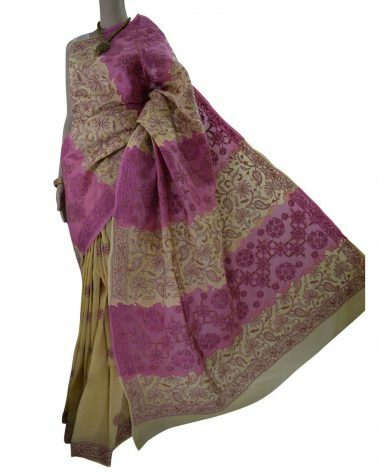 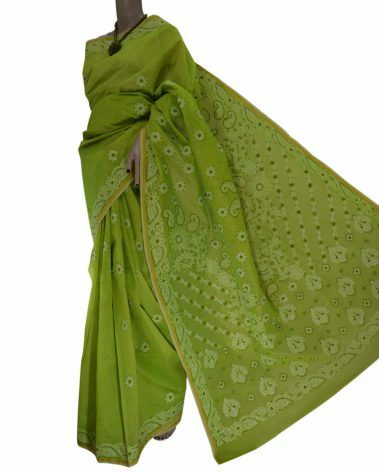 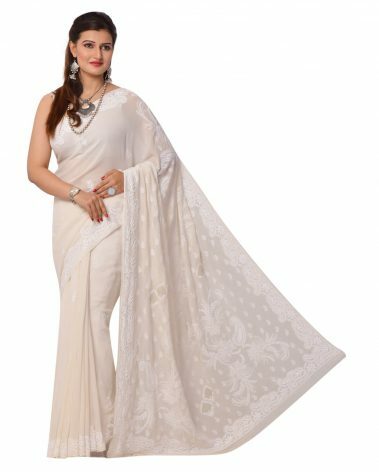 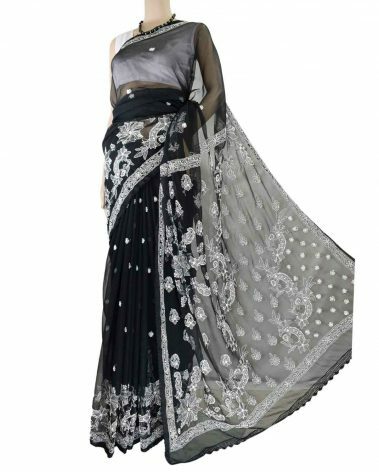 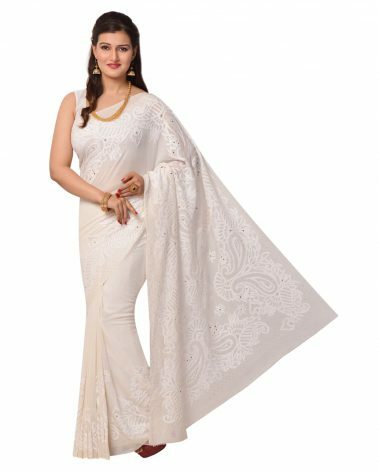 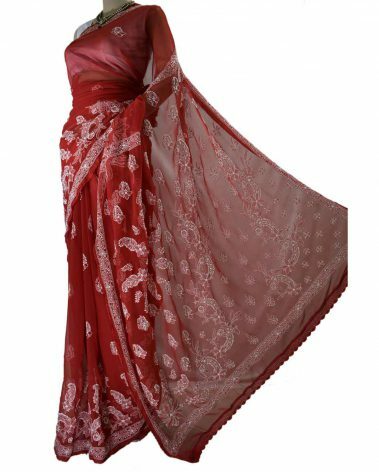 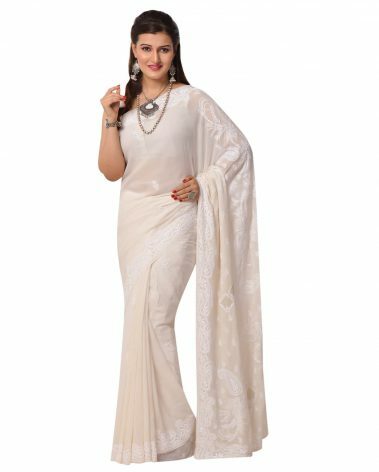 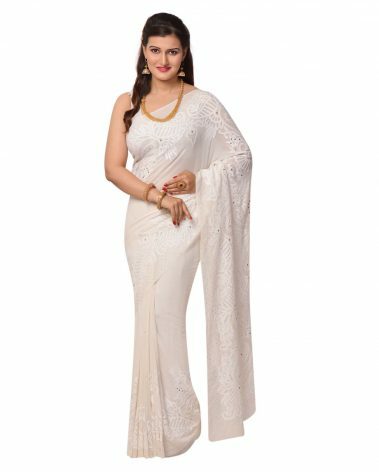 Ivory Pure Georgette Chikankari Saree with delicate silken thread hand embroidery along with mukaish on border and pallu makes it very elegant & graceful. Blouse: Blouse with embroidered sleeve.